“I got ball, ref!” has been a response to a whistle for a slide tackle foul since the early days of football. 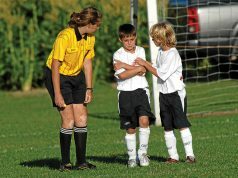 Often misunderstood, challenges on the ground require the referee to read the game and the players to properly manage a match. For the purposes of this article, we’ll define ground challenges as a tackle or slide tackle against a ballhandler. Until removed from FIFA Laws in 2008/2009, the wording, “tackles an opponent to gain possession of the ball, making contact with the opponent before touching the ball,” as a direct free kick foul, caused confusion on the application of the law. Was incidental contact included? Did trifling and doubtful contact count? How about the contact initiated by the attacker at the completion of the tackle? The International Football Association changed Law 12 to simply read, “tackles an opponent” in a manner that is careless, reckless or using excessive force, leaving the determination to the referee. They added sanctions as serious foul play for excessively dangerous tackles. Nothing in the laws provides sanctions for challenges on the ground. 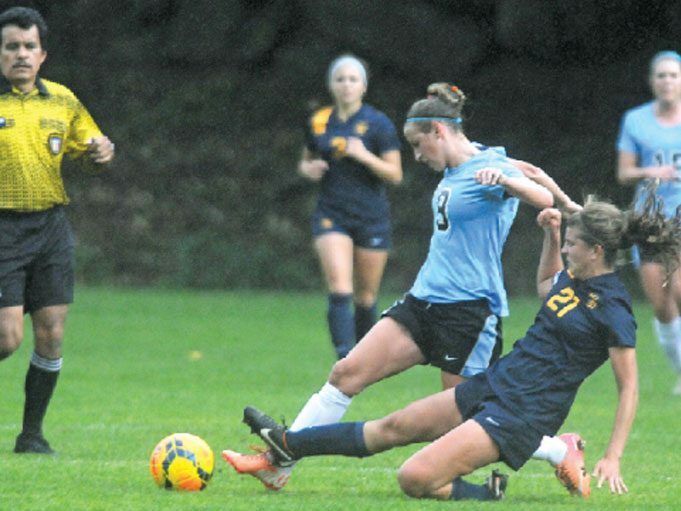 Determining if a foul occurs requires the referee to be observant before, during and after the tackle. Judging the challenge must include: the defender’s proximity to the play, the attempt to play the ball, the ability to play the ball, force used in the challenge and any ulterior motive or malicious intent of the defender.